I am Robbin Wang, the President of the Chinese Culture Association (NZ) Inc.
What was your involvement in the Diverscity: Ping Pong project? We cooperated, liked and shared ideas, provided information etc. We were also involved in event organising and planning – co-ordinating artists for opening event such as lion dancers and children’s dance. What made you say ‘yes’ to this project? This is a really great project, not only can it better promote Chinese culture, but also it allows more people to experience and participate in PING-PONG. 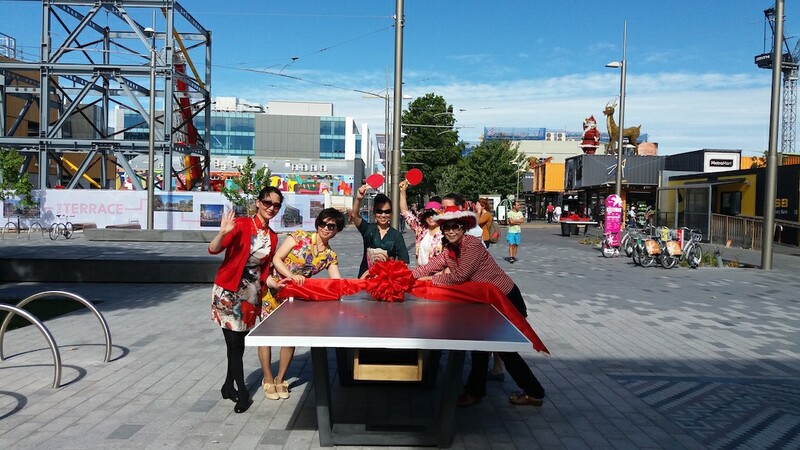 What has been the benefit to the Chinese Cultural Association in participating in Diverscity: Ping Pong? It has stimulated the enthusiasm of CCA to participate in community activities, but also work to enhance the visibility of CCA. What have you learned from being involved? Is there anything you would do differently next time? Sure, we believe there will be a lot of good ideas in the future. What would you like Gap Filler to know? Do you have any feedback? What could Gap Filler have done differently? Keep in touch and let us know more information and your thoughts if you can.